I have made a discovery this week. It wont be a discovery for many people but that’s what Arduino feels like to me. In fact, my friend and PhD supervisor Alison Gazzard told me about it. Open source electronics for developers, artists and anyone else interesting in making interactive objects and installations. My mind is enthusiastically running away with many ideas for projects which could be developed using this system. It could work very nicely for my projects Two Places I Call Home and A Collected History of Light for example. There are discussions afoot about the creation of an Arduino club in which Alison, myself and digital artist David Tree gather together to create interactive machines for art’s sake. I am rather looking forward to it. 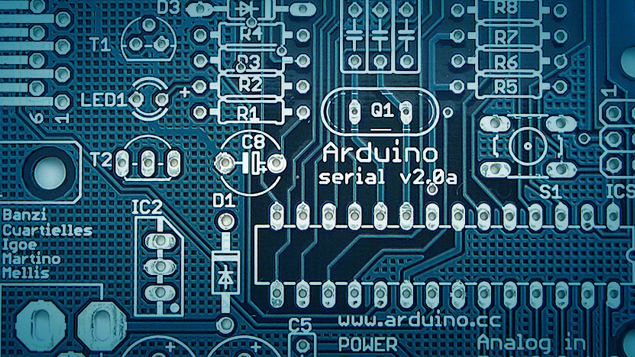 This entry was posted in Documentary and tagged arduino, enthusiasm, research. Bookmark the permalink.